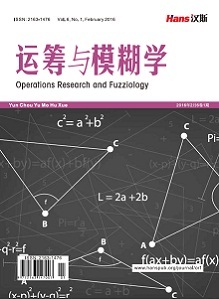 >In this paper, we study the boundary value problem of two areas composite Thomson equation based on the similar structure algorithm. Firstly, we make a lot of improvements on the similar structure algo- rithm. Then we use the algorithm, which is improved, to solve the boundary value problem of two areas com- plex Thomson equation. Finally, we do simulation experiment by using the MATLAB software in order to examine the feasibility of the improved algorithm. And we also observe and analyze the change law of the laboratory result by changing the coefficient of the boundary condition. 迟颖, 李顺初, 严娟 (2010) 含参数λ的Bessel方程边值问题的相似结构. 大连交通大学学报, 5, 109-111. 许东旭, 李顺初, 许丽 (2012) 欧拉超几何微分方程的一类边值问题解的相似结构. 西华大学学报(自然科学版), 2, 91-93. 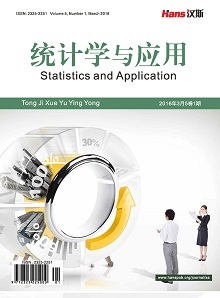 范聪银, 李顺初, 董晓旭, 白丽霞 (2013) 基于相似结构的算法设计. 应用数学进展, 3, 107-113. 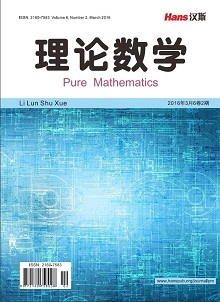 胡良剑, 孙晓君 (2006) MATLAB数学实验.高等教育出版社, 北京.